Astrology clients and enthusiasts alike often seek answers to religious questions such as who am I, where did I come from, and where am I going. Originally, astrology was a priestly art: one can even fruitfully explore whether astrology today is in fact a religion. 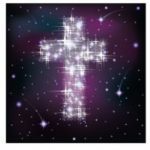 Knowing something about religion and how astrology is viewed from a religious perspective can be helpful to astrologers as they encounter in their practice a great deal of diverse religious beliefs. Join with Michael as he explores the interface between these two great subjects with an eye to identifying what makes for “religious” people and what we can understand about our own religious views from our own birth charts. All material © 2012-2018. Michael Barwick. All Rights Reserved.